However often Charlie says he’ll never ride again, his friends at Sandy Lane won’t believe him. He has a place at racing school starting in a couple of months. What can have happened to make him so scared? 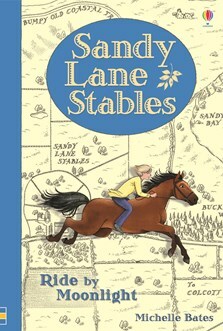 Independent new readers will love this Usborne Young Reading story, part of a collectible series of equestrian adventures with attractive hardback covers.